Tracey Ceccarelli’s father, Alberto, spent around five months in and out of hospitals before it was discovered that he suffered from a parasitic illness called strongyloidias. By the time it was diagnosed, the medicine, ivermectin, wasn’t able to save him. When an Alberta man mysteriously fell ill in the fall, it took a team of doctors and a biopsy of the patient's muscle tissue to discover the cause: sarcocystosis, a rare parasitic infection. The patient's doctors wanted to treat him with albendazole, a common anti-worm pill that has been used safely around the globe for more than 20 years, and which is on the World Health Organization's list of essential medicines. But albendazole is not available in Canada. A Health Canada program that allows seriously ill patients to obtain unlicensed drugs – known as the Special Access Programme (SAP) – turned down the doctors' request. So Stan Houston, a University of Alberta professor of medicine and public health who was in Zimbabwe for work, walked into a private pharmacy in the southern African country, plunked down $60 (U.S.) and brought home in his suitcase a 14-day course of albendazole for the patient, who was being treated by some of Dr. Houston's medical colleagues. "I'm not quite sure of the legality, but I'm totally comfortable with the ethics of it," Dr. Houston said. "The bottom line is that, after immense thought and effort and investigation, real experts thought this was the best thing to do … and SAP said no." Albendazole is one of a handful of older, world-beating medications that tropical-medicine doctors and infectious-disease specialists say are badly needed in Canada, but that cannot be prescribed because no pharmaceutical company has stepped up to license them here. The problem is not the safety or efficacy of these drugs. It's the size of the Canadian market. Drug makers cannot wring a profit from pills that only a few hundred migrants and travellers take every year. Health Canada's solution to this problem has been to funnel requests for older drugs such as albendazole through SAP, the same route terminally ill patients take to access new, cutting-edge treatments not yet licensed in Canada. But doctors say SAP can be opaque, arbitrary and slow, and that its rules sometimes keep the best drugs out of the hands of Canadians who need them. To qualify, patients must have a "serious" or "life-threatening" illness for which there is no other treatment on the market, forcing people who are sick but not dying to settle for second-rate drugs. Health Canada officials are reluctant to expand SAP's mandate or to allow the stockpiling of more special-access drugs in major centres, as they already do with two intravenous therapies for severe malaria. If Health Canada stretches the rules too far, it risks opening a back door that could allow pharmaceutical companies to bypass the Health Canada drug-approval process altogether. "It is a bit of a uniquely Canadian, self-inflicted thing," said Adam Houston, a lawyer and PhD candidate at the University of Ottawa who is working on a research paper about the Special Access Programme with three co-authors, including his father, the same Dr. Houston who brought albendazole home in his suitcase. "A small number of people need these drugs. To make sure there's some kind of access, we've shoehorned them into SAP, even though SAP is very, very clearly not designed for Nobel Prize-winning drugs that were invented 40 years ago." The Nobel Prize-winning drug to which Mr. Houston is referring is ivermectin, a parasite-killing therapy that has dramatically reduced the incidence of onchocerciasis, or river blindness, in the developing world. Ivermectin cures a host of diseases caused by parasitic worms, including strongyloidiasis, the infection for which it is most often needed in Canada. Strongyloides are microscopic roundworms that people can pick up while walking barefoot in sand or soil in most tropical regions. The worms penetrate the skin and settle in the bowel, where, in about half of all cases, they lie dormant for years without causing any symptoms. But if a person's immune system is suppressed with chemotherapy, steroids or other drugs, the worm's larvae can escape the bowel and spread throughout the body, causing disseminated strongyloidiasis, an infection that is lethal in 90 per cent of cases. Ivermectin cures strongyloidiasis – if the infection is caught in time. It wasn't in the case of Alberto Ceccarelli. Mr. Ceccarelli, a retired baggage handler for Air Canada, was a father of two who loved hunting and prided himself on his ability to fix anything. He was in the midst of single-handedly repairing his flood-damaged Etobicoke basement when he started suffering persistent diarrhea and weight loss about three years ago, his daughter, Tracey Ceccarelli, said. Mr. Ceccarelli went to the hospital, where the doctors who misdiagnosed him with ulcerative colitis treated him with steroids and anti-inflammatory medicines, unwittingly awakening the strongyloides he had no idea were in his bowel. "Five days later, that's when all hell broke loose," Ms. Ceccarelli said. "It was literally four months of infection after infection." After a heart attack, stroke, meningitis and stints in four different hospitals, a doctor finally tested him for strongyloides in August of 2014. He died a week later at the age of 67. Andrea Boggild, a tropical-medicine specialist at Toronto General Hospital who has been helping Mr. Ceccarelli's family raise awareness of the disease, said the widespread infection was discovered too late for oral ivermectin to have saved him, even if the medications had been readily available. But Dr. Boggild said Mr. Ceccarelli's case underlines the need for swift access to ivermectin and albendazole, which she uses in combination to treat strongyloidiasis. Ivermectin cures strongyloidiasis – if the infection is caught in time. It wasn’t in the case of Alberto Ceccarelli. "If you've got a patient in the ICU and they've got gram-negative sepsis or gram-negative meningitis and all of sudden someone thinks, 'Wait a second, maybe we should test for strongyloidiasis' and, lo and behold, they're pumping out larvae, you can see how a six-day turnaround time is unacceptable," Dr. Boggild said. Supriya Sharma, Health Canada's Chief Medical Officer, said the Special Access Programme makes "every effort" to respond to requests within 24 hours. The program has someone on call 24 hours a day, 365 days of the year, she said. Many of the doctors interviewed for this story also said they have seen requests for ivermectin for strongyloidiasis approved within a day or two. The drug is frequently requested and the infection clearly meets SAP's guidelines. What is the Special Access Programme? Health Canada’s Special Access Programme (SAP) allows doctors to obtain unlicensed drugs for individual patients battling “serious” or “life-threatening” illnesses, so long as there are not alternative treatments already on the market in Canada. Physicians can apply through SAP for cutting-edge drugs that are not yet licensed here, or for long-established medications that pharmaceutical companies won’t sell in Canada’s small market. With a salary budget of about $700,000 per year and the equivalent of nine full-time employees, the SAP issued more than 14,000 authorizations for access to unapproved drugs in 2015. But when Dr. Boggild and a medical student reviewed all of the SAP requests that Toronto General Hospital's Tropical Disease Unit filed for ivermectin and albendazole between 2013 and 2015, they found the average turnaround times were much longer: nine days in 2013, seven in 2014 and five in 2015. Even in cases of strongyloidiasis hyperinfection, more than five days elapsed between a doctor submitting an SAP request and the Tropical Disease Unit receiving the drug, according to a summary of Dr. Boggild's review published last month in the American Journal of Tropical Medicine and Hygiene. Ms. Ceccarelli tested positive for strongyloides in her system after her father's death. She wasn't displaying any symptoms. Doctors do not know where the father and daughter picked up the worms, or even if they picked them up in the same place. The elder Ceccarelli was born in rural Italy and could have acquired strongyloides as a child. Both he and his daughter travelled widely and could have got the worms on vacation. ‘It was literally four months of infection after infection,’ Tracey Ceccarelli, above, says of her father’s strongyloidiasis. After testing positive, Ms. Ceccarelli had to wait two weeks for ivermectin. "You're told you have a parasite in your body. The first thing you think is, 'Get it out of me,' especially knowing that it killed my father," she said. "I knew it wasn't affecting me at that moment, but it's psychological." Part of the reason for delays, Dr. Boggild and other doctors say, is the cumbersome process. Applications have to be faxed to Ottawa, where SAP's reviewers often reject requests at first, asking for more information on the patient or more evidence from the medical literature. After SAP authorizes a request, the drug still has to be shipped. "It has been an extremely frustrating process," said Stephen Vaughan, a clinical assistant professor at the University of Calgary and an infectious-disease consultant. "[One response] we often get is to try an alternative medication, even though it's been shown in high-quality studies that the SAP medication is the treatment of choice. The other [response] is just to provide more literature or better evidence, even though many of us have submitted this application 50 times. They know – or they should know – the evidence for a number of these common indications." Delays are one issue. 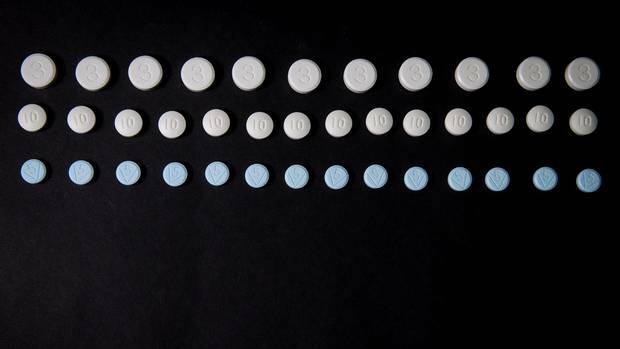 Gaps in Health Canada's approach to unlicensed drugs are another. Consider cutaneous larva migrans (CLM), a skin disease caused by cat or dog hookworms common in the tropics. If one of the parasites finds its way into a human, it crawls around under the skin, searching in vain for a canine or feline blood vessel to hook onto. CLM causes itching so intense it keeps people from sleeping or working. But it does not kill. Unlike strongyloidiasis, CLM does not strictly fit SAP's "serious" or "life-threatening" criteria, meaning SAP often – but not always – rejects requests for ivermectin or albendazole to treat it, doctors say. The pharmaceutical giant Merck, which makes Mectizan, the brand-name version of ivermectin, has donated more than two billion treatment courses of the drug since 1987, which explains why the drug is so widely available in Africa, Asia and South America. But ivermectin is not routinely available in Canada because neither Merck nor any generic manufacturer has applied to license it for such a small market. Merck only sells Mectizan in the United States, France, the Netherlands, Mexico, Japan, Australia and Taiwan, according to a spokeswoman for the company. Generic versions are available all over the world. But some other countries, including Britain, rely on their own versions of Health Canada’s Special Access Programme to obtain ivermectin on a case-by-case basis. In Canada, Merck provides ivermectin for free through the SAP. "It's a Catch-22," said Anne McCarthy, an Ottawa tropical-medicine doctor and the chair of the Committee to Advise on Tropical Medicine and Travel, which provides advice to the Public Health Agency of Canada. "If you say somebody has cutaneous larva migrans, it's not unreasonable for [SAP] to reject that. That's the problem." Ryan Cooper, an Edmonton infectious-disease doctor who specializes in tuberculosis, has run into a similar problem with rifapentine, a medication that is not licensed in Canada, but that could help stop the spread of TB. Although rare among non-aboriginals born in Canada, TB remains a concern in First Nations communities, especially in the North. When doctors diagnose a case of active TB, they try to find the patient's family, friends and neighbours and start them on a course of preventive treatment that can require as many as 270 pills – a pill a day for nine months. Rifapentine, combined with another drug that is already available in Canada, can provide the same result if taken once a week for three months. But a medication for patients who are not yet sick, and who have access to an alternative drug, hardly fits SAP's mandate. Still, Dr. Cooper managed to convince SAP to release some rifapentine last year when active cases of TB were diagnosed on two reserves outside Calgary. "They gave us a few courses before they realized this was more of a routine use, rather than a special use," he said. "I think I probably could have pushed it, but each individual case I had to negotiate. That generated quite a bit of delay in getting the pill to the ground where the patients need it." Dr. Sharma, Health Canada's chief medical officer, said SAP has not received many requests for rifapentine. The Public Health Agency of Canada is about to conduct a survey of TB doctors to see if there is a broader public health need for the drug, she added. But if there is a wider need for rifapentine, what can Health Canada do if no drug company can recoup its costs – never mind turn a profit – by selling the drug here? In the case of ivermectin and albendazole, Health Canada has worked behind the scenes in the past to persuade the drugs' makers to apply for market authorization, at the urging of physicians such as Dr. McCarthy and Brian Ward, the associate director of the J.D. MacLean Centre for Tropical Diseases at McGill University in Montreal. Despite Health Canada offering expedited reviews and reduced application fees, Merck, which makes ivermectin, and GSK, which makes albendazole, have declined. Both companies give the drugs away for free through Canada's Special Access Programme. Sandra Wainwright, the executive director of regulatory affairs at Merck Canada, said the company's decision not to market ivermectin in Canada goes back to the mid-1990s when there was little need for the drug here. Now, as more immigrants, refugees and travellers arrive in Canada from tropical regions, Merck is reconsidering. Ms. Wainwright said Merck is in "very preliminary" discussions with Health Canada about applying to license ivermectin. "It would totally be driven by needs expressed by the community. That certainly is not a commercially driven activity." The number of Canadians who request ivermectin through SAP may be small, but it is growing, according to figures compiled by Health Canada for The Globe and Mail. In 2015, doctors requested the drug 685 times, up 43 per cent from 444 requests in 2012. Of those requests, about 80 per cent were granted, roughly the same authorization rate as the previous three years. Requests for albendazole have bounced around more – 220 in 2015, 287 in 2014, 261 in 2013 and 234 in 2012 – and the authorization rate has ranged from a low of 62 per cent in 2012 to a high of 81 per cent in 2013. SAP requests for five other unlicensed drugs on the tropical-medicine community's wish list ranged from a handful to several dozen annually, depending on the drug and the year. GSK declined an interview request, but a spokeswoman said by e-mail that, "due to the rare occurrence of parasitic worm infections in Canada, and the permission to provide albendazole through Health Canada's Special Access Program, we made the decision not to seek approval to market the product locally." Dr. Sharma said Health Canada is working hard to make SAP work better, including by asking its reviewers to pick up the phone and explain to doctors why they initially reject applications. For Dr. Vaughan in Calgary, improvements cannot come fast enough. "What I worry about most is that we're going to have a patient that's going to become very ill with disseminated strongyloidiasis, or they may even die, while waiting for the treatment to be approved and transferred from Ottawa to a site. I don't want a case like that to have to happen before there are changes to the system."